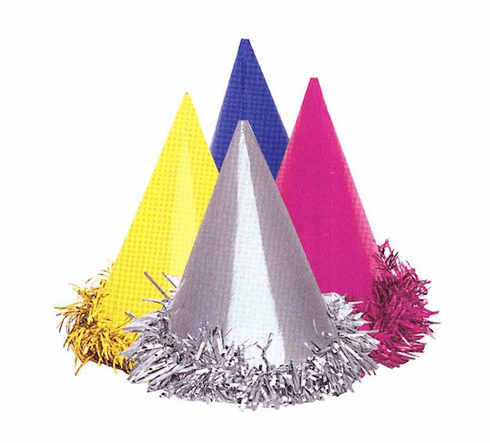 Tired of regular party hats? These hats are trimmed with fringed foil! Assorted colors. Each pack contains 6 fringed hats.